The relationship between the pulp and the periodontium has been extensively studied; however, queries regarding the diagnosis, prognosis and treatment are raised time and again. The pathways for the spread of bacteria between pulpal and periodontal tissues have been discussed with controversy. ,, Pulpal infection can drain through the periodontal ligament space and give an appearance of periodontal destruction, termed retrograde periodontitis. Similarly, both pulpal and periodontal infections can coexist in the same tooth, termed combined lesions, where the treatment depends on the degree of involvement of the tissues. Both endodontic and periodontal diseases are caused by a mixed anaerobic infection. This article is an attempt to provide a rational approach to the perio-endo/endo-perio question in order to scientifically diagnose and treat these lesions with predictable success. There are two forms of possible pathways for bacteria and their products connecting the two tissues: Anatomical and Non-physiological  [Figure 1]. abscess. In reality, it is a sinus tract from pulpal origin that opens through the periodontal ligament area. For diagnosis purposes, it is imperative for the clinician to insert a gutta-percha cone into the sinus tract and to take one or more radiographs to determine the origin of the lesion. When the pocket is probed, it is narrow and lacks width. Primary endodontic diseases usually heal following root canal treatment. The integrity of the periodontium will be reestablished if root canal treatment is done well. If a draining sinus tract through the periodontal ligament is present before root canal treatment, resolution of the defect that can be probed is expected [Figure 2], [Figure 3] and [Figure 4]. The pulp response to cementum and dentin removal and exposure of patent dentinal tubules by periodontal root planing will vary with the remaining dentin thickness. Unless dentin removal is excessive, pulp response will be negligible. Although the pulp is exposed to a bacterial challenge through patent dentinal tubules, it is quite capable of repair and healing. Production of reparative dentin and reduced canal diameter may result, but pulp tissue remains relatively unaffected. These lesions occur when an endodontically induced periapical lesion exists at a tooth that is also affected by marginal periodontitis. ,,,,,, The two lesions can either merge or exist separately. Merged lesions form by ongoing marginal attachment loss or by exacerbations of apical periodontitis. Teeth with vertical root fractures also belong to this category and have been found to have radiolucencies involving the periodontal ligament in 75% of the cases. True combined endodontic-periodontal disease occurs less frequently than other endodontic-periodontal problems. The degree of attachment loss in this type of lesion is invariably large and the prognosis isguarded. This is particularly true in single-rooted teeth. In molar teeth, root resection can be considered as a treatment alternative if not all roots are severely involved. Sometimes, supplementary surgical procedures are required. 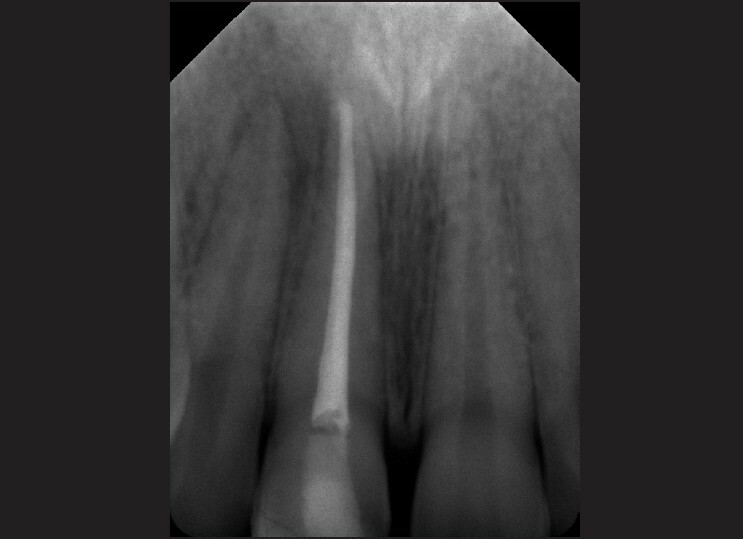 In most cases, periapical healing may be anticipated following successful endodontic treatment. The periodontal tissues, however, may not respond well to treatment and will depend on the severity of the combined disease. The application of guided tissue regeneration (GTR) ,,,, in periapical surgery has seen an increase in recent years based on favourable outcomes reported in periodontal applications. GTR in combined lesions has been described in numerous case reports, which generally result in clinical improvement. A thorough visual examination of the lips, cheeks, oral mucosa, tongue, palate and muscles should be carried out. The alveolar mucosa and the attached gingiva are examined for the presence of inflammation, ulcerations or sinus tracts. Frequently, the presence of a sinus tract is associated with a necrotic pulp. Although this test does not disclose the condition of the pulp, it indicates the presence of a periradicular inflammation. An abnormal positive response indicates inflammation of the periodontal ligament that may be either from pulpal or periodontal origin. The sensitivity of the proprioceptive fibers in an inflamed periodontal ligament will help identify the location of the pain. This test should be performed gently, especially in highly sensitive teeth. Tooth mobility is directly proportional to the integrity of the attachment apparatus or to the extent of inflammation in the periodontal ligament. Hypermobility is quite common in cases of primary endodontic involvement and should not be confused with true mobility caused by periodontal destruction. In cases of primary endodontic pathology, the mobility resolves within a week of initiating endodontic therapy. Endodontic or periodontal disease may sometimes develop a fistulous sinus track. Inflammatory exudates may often travel through tissues and structures of minor resistance and open anywhere on the oral mucosa or facial skin. Intraorally, the opening is usually visible on the attached buccal gingiva or in the vestibule. Fistula tracking is done by inserting a semirigid radiopaque material into the sinus track until resistance is met. Commonly used materials include gutta-percha cones or pre-softened silver cones. A radiograph is then taken, which reveals the course of the sinus tract and the origin of the inflammatory process , [Figure 5] and [Figure 6]. When a patient presents with a localized swelling that involves the gingival sulcus, it may be difficult to determine whether the swelling is due to a periodontal abscess or an abscess of endodontic origin. , The tooth must be non-vital. The swelling is usually on the labial side of the tooth but may occasionally be on the lingual side. As the sulcus is probed, there is usually normal sulcus depth all the way around the tooth until the area of the swelling is probed. At the edge of the swelling the probe drops significantly to a level near the apex of the tooth and the probing depth remains the full width of the swelling. At the opposite edge of the swelling, probing is once again within normal limits. The width of the detached gingiva can be as broad as the entire buccal or lingual surface of the tooth. This swelling can be characterized as having "blown-out"  the entire attachment on that side. Endodontic treatment only is indicated. As the result of endodontic management of the swelling, complete periodontal reattachment occurs within 1 week in most cases. In periodontal disease, bone loss always begins at the crestal bone level and progresses apically. The typical lesion is conical in contour. The probing may start from a sulcus depth that is within normal limits, then gradually step down a slope to the apical extent of the lesion and then step up again on the other side to a sulcus depth within normal limits. Occasionally, the clinical presentation of a periodontal lesion will have the sloping contour of a conical lesion on one side but a more precipitous, sharp drop-off on the other. Such probing should be considered to be of the "periodontal type" of probing. 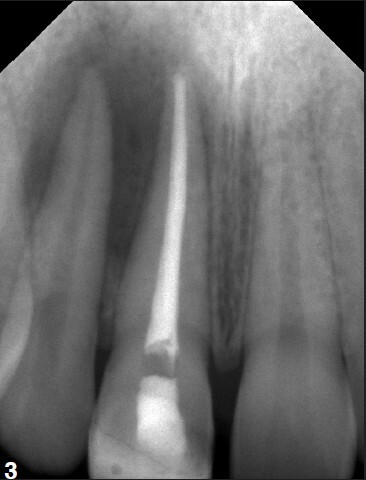 A periodontal lesion will not resolve in response to root canal treatment even if the associated tooth is pulpless. The prognosis for a tooth with conical-shaped probing must be based on the prognosis for resolving the periodontal lesion. If it can be demonstrated that a tooth is pulpless and if the periodontal prognosis is favorable, root canal treatment should be completed before periodontal therapy. 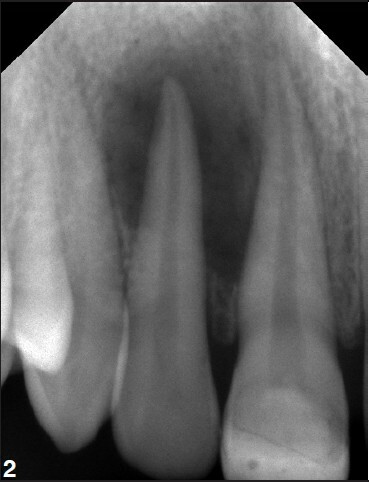 In summary, conical-shaped probing indicates periodontal pathosis. An apparent periodontal lesion may or may not be detectable radiographically. Clinically, a lesion may be probed for some distance down the root surface of the involved tooth but the defect is in fact a sinus tract. Typically, on probing the sulcus depth within normal limits, with the exception of one very narrow area that can be probed some distance down the root surface of the tooth, in many cases it can be probed all the way to the apex of the tooth. Usually, the break in the attachment is only about 1 mm wide, and probing 1 mm to either side of the lesion will be within normal limits. A lesion that probes in this manner is in fact a sinus tract, and the probing represents a typical sinus tract type of probing. The tooth is non-vital. Customary root canal procedures are indicated. There is usually no need for curettage or surgical intervention. It is strictly a sinus tract similar to a sinus tract exiting in the alveolar mucosa or attached gingiva. When a sinus tract occurs over the lateral root surface of a tooth, it will respond to root canal treatment like any other sinus tract. Typically, the orifice into such a sinus tract will close within 1 week after the cleaning and shaping appointment. A deep periodontal defect should always be suspected to harbor bacteria and should therefore be treated endodontically. If the remaining dentition is periodontally healthy and a vertical root fracture has been ruled out, healing of the attachment apparatus can be expected after endodontic treatment without any periodontal treatment. [Table 1] lists the critical lesion characteristics that significantly contribute to the diagnostic process. A systematic evaluative process goes a long way in accurate diagnosis and treatment planning. When secondary disease is established and chronic, both primary and secondary diseases must be treated. By and large, endodontic therapy precedes periodontal therapy. Periodontal therapy may or may not be required, depending on disease status. The complete healing of destroyed periodontal support can be expected following the treatment of pulpal pathology. The resolution of extensive destruction following the treatment of chronic periodontitis is less predictable. It is important to realize that it is clinically not possible to determine the extent to which one or the other of the two disorders (endodontic or periodontal) has affected the supporting tissues. Therefore, the treatment strategy must be first to focus on the pulpal infection and to perform debridement and disinfection of the root canal system. The second phase includes a period of observation, whereby the extent of periodontal healing resulting from the endodontic treatment is followed. Reduced probing depth can usually be expected within a couple of weeks while bone regeneration may require several months before it can be radiographically detected. Thus, periodontal therapy, including deep scaling with and without periodontal surgery, should be postponed until the result of the endodontic treatment can be properly evaluated. In acute cases, it is of paramount importance to diagnose the source of the pain and/or swelling and delineate it to be and endodontic or periodontal. This problem should be treated first as a priority. Follow soon after with other treatment. The debate on which treatment should be initiated first has vexed dentists for long. It is a known fact that root canal infection significantly affects periodontal healing. Pocket depth reduction is significantly lesser in the presence of canal infection. , There is more marginal epithelium over cemental defects if the canals are infected. Removal of cementum will expose dentinal tubules, which means that if there are bacteria in the canal, it could promote inflammatory resorption. It may also expose periodontal tissues to toxic medicaments if used in canal. This is not so critical in areas with recession. Early initiation of endodontic treatment ensures that the cementum layer is kept intact until root canal infection is eliminated. Because there would be no exposed dentine on the root surface, there is reduced chance of root resorption and improved periodontal healing. On the other hand, if the root canal filling does not have a good seal then the filled canals may be reinfected from periodontal bacteria. 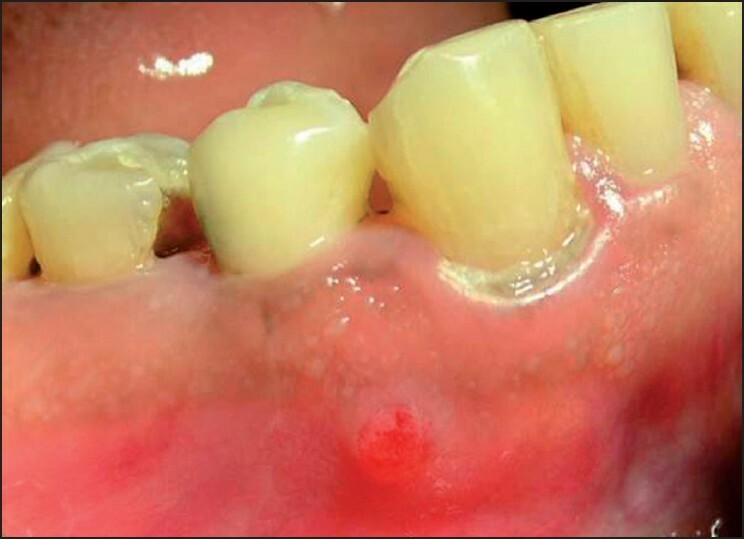 The risk of infection is heightened if periodontal treatment is delayed, especially when a "combined lesion with communication" exists between the two sites. Sterility is more likely while there is a medicated dressing like calcium hydroxide in the canal. Hence, in some cases, it might be prudent to delay the root filling until the periodontal infection has been eliminated. This would be required when both endodontic and periodontal infection are present simultaneously. Combined endo-perio lesions that exist separately on the same tooth (meaning that they are not physically merged) have recently gained a lot of attention. The true combined endodontic and periodontic lesion requires an accurate diagnosis. This is often a difficult diagnosis and therefore requires reevaluation after either the periodontal or endodontic problems are treated. In such cases, if there is no communication, then complete the endodontic therapy first and initiate periodontal treatment soon after. When lesions communicate, it makes sense to commence endodontic treatment first and medicate canals until prognosis is known. Abott,  in a detailed analysis on treatment considerations, recommends the following protocol. Treatment of combined endodontic and periodontal lesions does not differ from the treatment given when the two disorders occur separately. The part of the lesion sustained by the root canal infection can usually be expected to resolve after proper endodontic treatment. The part of the lesion caused by the plaque infection may also heal following periodontal therapy, although little or no regeneration of the attachment apparatus can be expected. This suggests that the larger the part of the lesion caused by the root canal infection, the more favourable the prognosis is for regeneration of the attachment. 1. Jansson L, Ehnevid H, Lindskog S, Blomlφf L. The influence of endodontic infection on progression of marginal bone loss in periodontitis. J Clin Periodontol 1995;22:729-73. 2. Jansson L, Ehnevid H, Blomlφf L, Weintraub A, Lindskog S. Endodontic pathogens in periodontal disease augmentation. J Clin Periodontol 1995;22:598-602. 3. Jansson L, Ehnevid H, Lindskog S, Blomlφf L. Relationship between periapical and periodontal status. A clinical retrospective study. J Clin Periodontol 1993;20:117-23. 4. Simon JH, Glick DH, Frank AL. 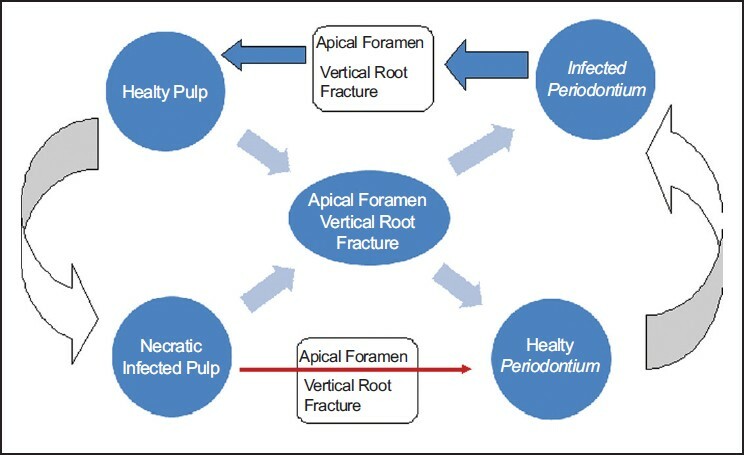 The relationship of endodontic-periodontic lesions. J Periodontol 1972;43:202-8. 5. Armitage GC. Development of a classification system for periodontal diseases and conditions. Ann Periodontol 1999;4:1-6. 6. Zehnder M, Gold SI, Hasselgren G. Pathologic interactions in pulpal and periodontal tissues. J Clin Periodontol 2002;29:663-71. 7. Petersson K, Hasselgren G, Tronstad L. Endodontic treatment of experimental root perforations in dog teeth. Endod Dent Traumatol 1985;1:22-8. 8. Chan CP, Lin CP, Tseng SC, Jeng JH. 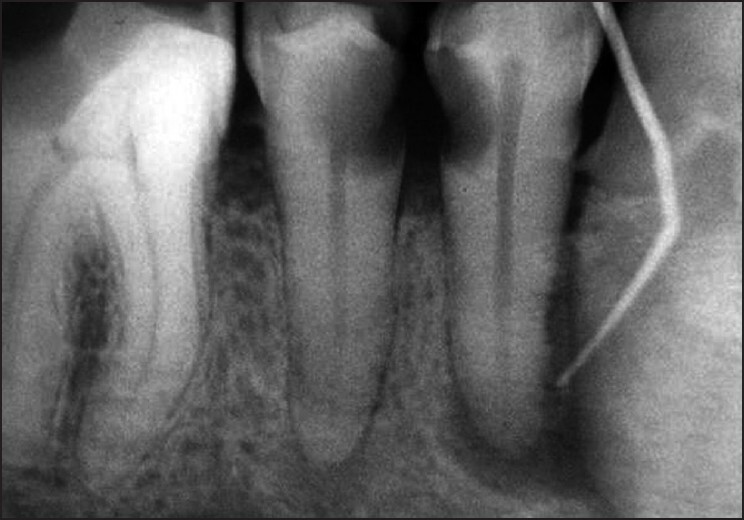 Vertical root fracture in endodontically versus nonendodontically treated teeth. A survey of 315 cases in Chinese patients. Oral Surg Oral Med Oral Pathol Oral Radiol Endod 1999;87:504-7. 9. Rotstein I, Simon JH. Diagnosis, prognosis and decision-making in the treatment of combined periodontal-endodontic lesions. Periodontol 2000 2004;34:165-203. 10. Reeves R, Stanley HR. The relationship of bacterial penetration and pulpal pathosis in carious teeth. Oral Surg Oral Med Oral Pathol 1966;22:59-65. 11. Madison S, Wilcox LR. An evaluation of coronal microleakage in endodontically treated teeth. Part III. In vivo study. J Endod 1988;14:455-8. 12. Richard E Walton and Mahmoud Torabinejad. Principles and Practice of Endodontics. 3rd Edition Philadelphia W B Saunders Company; 2002 pp. 467-84. 13. Rotstein I, Simon JH. Diagnosis, prognosis and decision-making in the treatment of combined periodontal-endodontic lesions. Periodontol 2000 2004;34:165-203. 14. Seltzer S, Bender IB, Ziontz M. The interrelationship of pulp and periodontal disease. Oral Surg Oral Med Oral Pathol 1963;16:1474-90. 15. Harrington GW, Steiner DR, Ammons WF. The periodontal-endodontic controversy. Periodontol 2000 2002;30:123-30. 16. Meng HX. Periodontic-endodontic lesions. Ann Periodontol 1999;4:84-9. 17. Lindhe J, Karring T, Lang NP. Clinical Periodontology and Implant Dentistry. 3rd Edition, Copenhagen: Munksgaard; 1997. p. 296-331. 18. Pecora G, Baek SH, Rethnam S, Kim S. Barrier membrane technique in endodontic microsurgery. Dent Clin North Am 1997;41:585-602. 19. Duff BC. Treatment of an endodontic/periodontic defect using guided tissue regeneration: Report of a case. J Mich Dent Assoc 1993;75:28-30. 20. Milano F, Melsen B. Guided tissue regeneration using bioresorbable membranes: what is the limit in the treatment of combined periapical and marginal lesions? Int J Periodontics Restorative Dent 1997;17:416-25. 21. Mastromihalis N, Goldstein S, Greenberg M, Friedman S. Applications for guided bone regeneration in endodontic surgery. N Y State Dent J 1999;65:30-2. 22. Von Arx T, Cochran DL. Rationale for the application of the GTR principle using a barrier membrane in endodontic surgery: a proposal of classification and literature review. Int J Periodontics Restorative Dent 2001;21;127-39. 23. Sigurdsson A. Pulpal diagnosis. Endod Top 2003;5:12-25. 24. Bender IB. Factors influencing radiographic appearance of bony lesions. J Endod 1982;8:161-70. 25. Lee SJ, Messer HH. Radiographic appearance of artificially prepared periapical lesions confined to cancellous bone. Int Endod J 1986;19:64-72. 26. Ehnevid H, Jansson LE, Lindskog SF, Blomlφf LB. Periodontal healing in relation to radiographic attachment and endodontic infection. J Periodontol 1993;64:1199-204. 27. Gopikrishna V, Pradeep G, Venkateshbabu N. Assessment of pulp vitality: A Review. Int J Paediatr Dent 2009;19:3-15. 28. Harrington GW. The perio-endo question: differential diagnosis. Dent Clin North Am 1979;23:673-90. 29. Chen SY, Wang HL, Glickman GN. The influence of endodontic treatment on periodontal wound healing. J Clin Periodontol 1997;24:449-56. 30. Jansson L, Ehnevid H, Lindskog S, Blomlφf L. The influence of endodontic infection on progression of marginal bone loss in periodontitis. J Clin Periodontol 1995;22:729-73. 31. Abbott P. Endodontic management of combined endodontic-periodontal lesions. J N Z Soc Periodontol 1998;83:15-28. Nakahara, Y. and Sano, T. and Kodama, Y. and Ozaki, K. and Matsuura, T.
Pundir, A.J. and Pundir, S.